Is High Stakes Poker Set to Return? 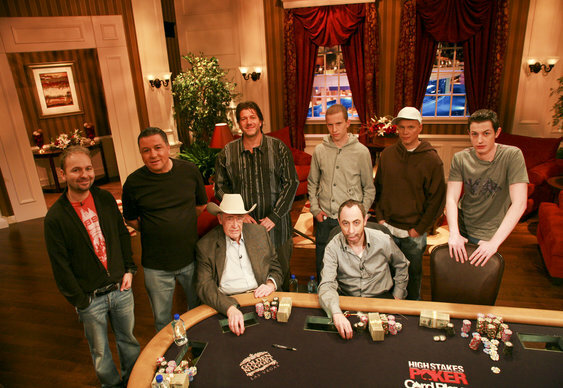 Rumours began to surface over the weekend that High Stakes Poker could be making a much welcome return to our screens in the near future. The popular show was one of the biggest hits of the last few years when it aired on US TV; however, after Black Friday took hold, the show fell out of favour with TV executives. During High Stakes Poker's run viewers were treated to a slew of juicy pots, including the famous $1 million showdown between Guy Laliberte and David Benyamine. In fact, such was the popularity of the show that many players have been campaigning for it to be re-commissioned. Unfortunately, no one has been brave enough to produce the show. However, all that could be about to change as GSN, the channel which last hosted the show, recently asked its YouTube fans for feedback. After setting up a poll, GSN asked for input on various aspects of High Stakes Poker, including who would watch it, who should be on it and who would make a good host. Unfortunately, the survey is now closed and the video has been removed, but not before many members of the community had their say. What this all means isn't yet clear. Maybe the bosses were simply curious, or maybe they are keen to see if a new season of High Stakes Poker would be a hit. Many in the game will certainly hope that the latter is the case.